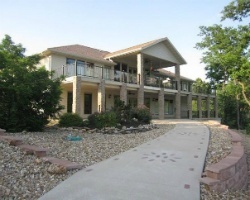 *Private Quarters Club Porto Cima* is a four seasons resort located in Missouri on the Shawnee Bend of the Lake of the Ozarks, which is famous for its 18-hole championship golf course that was designed by Jack Nicklaus and includes 7 holes that run along or over the lake! The beautiful clubhouse covers 17,000 square feet and includes a pro shop, lounge, locker rooms, a dining area and banquet facilities. The yacht club gives guests access to a marina, 200 boat slips, tennis courts, heated outdoor swimming pool and casual dining options. 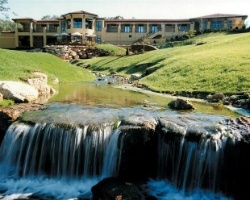 Each of the luxurious suites feature a Jacuzzi and some units overlook the beautiful golf course. Additional on-site amenities include a children's play area, exercise equipment, poolside and outdoor dining. Gorgeous accommodations located along the 18th fairway and green of Porto Cima Golf Club! 3 weeks per year! Buyer may receive a title fee credit!